UNCASVILLE, CT (August 31, 2017) – Elemis Spa at Mohegan Sun is set for a full renovation and will re-open as Mandara Spa, come spring of 2018. 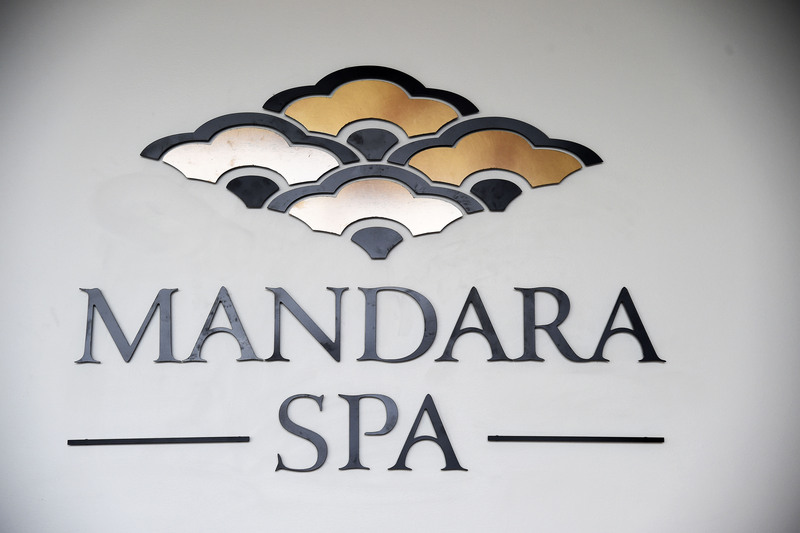 While the spa inside Sky Tower undergoes these changes, the Mandara Spa that already opened along with Earth Tower last year will operate as the primary spa at Mohegan Sun. Make dodging lines at the local mall a thing of the past and let The Shops and restaurants at Mohegan Sun help you with your holiday shopping list this year. Mohegan Sun has the season’s hottest gifts all under one roof, perfect for any holiday gift swap. WHAT: In celebration of Mohegan Sun’s 15th Anniversary this October, there will be property wide specials,discounts and deals at many of our fine restaurants and retail outlets in honor of the historic milestone. IN DETAIL: Below is a complete list of the dining and retail offerings available as part of Mohegan Sun’s 15th anniversary celebration. Birches Bar & Grill will feature combo lunch specials including the classic Turkey BLT, Home-style Meatloaf, Chicken Parmesan, Burger Platter, General Tso’s Chicken, Grilled Chicken Caesar Wrap, Woodstone Pizza and Plain Jane Mac & Cheese. All specials include chef’s desert and fountain beverage or coffee or tea and are priced $15.00 per person, valid from October 1st through October 23rd from 11:00am – 4:00pm. Ballo Italian Restaurant and Social Club will be serving up a lunch special where guests can choose from a selection of sandwiches paired with an 8 oz. glass of wine from one of Ballo’s excellent wine choices. This lunch special is priced at $15.00 per person and is valid from 11:30am – 4:00pm starting on October 5th and continuing through October 31st. Chief’s Deli will serve soup and sandwich combo meals that include a soft drink, coffee or tea all for $15.00. This lunch special is valid throughout the month of October from 11:00am -11:00pm. The Dubliner will offer a 3-course lunch special from 11:30am – 4:00pm and it will include a choice of soup or salad, an entrée, dessert and beverage all for $15.00. This special lasts throughout October. Geno’s Bagels, Sweets & Subs as well as Geno’s Fast Break, Geno’s Pub and Wok-On by Geno’s Fast Break will offer 15% off every Thursday during the month of October. Not valid on Arena show nights or holidays. Frank Pepe Pizzeria Napoletana will feature a medium cheese pizza and two fountain sodas for $15.00 and is valid throughout October. *Toppings available at an additional cost. Jimmy Buffett’s Margaritaville will serve a Parrot Head Po’Boy fried shrimp sandwich platter with Prickly Pear Lemonade all for $15.95 per person. Offer valid throughout October. Johnny Rockets’ delicious Rocket single will be offered with fries, a soft drink and apple pie or ice cream all for $15.00 per person and valid throughout October. Lucky’s Lounge will feature a 3-course lunch special that includes a soup or salad, an entrée, dessert and soda, coffee, tea or water all for $15.00 per person. This offer is valid from 11:30am – 4:00pm, seven days a week throughout October. Michael Jordan’s 23.sportcafe and Michael Jordan’s Steak House will both showcase its variety of tasty apps with a Sampler Platter for $15.00 per person. Offer valid throughout October. SolToro Tequila Grill will also feature a Sampler Platter of appetizers for $15.00 per person and valid throughout October. The Original Soup Man will also have a special that comes with a cup of soup (excluding bisque), half sandwich, bag of chips or a cookie and a beverage all for $15.00 per person and valid throughout October. Sunrise Square will have delicious combo meals like Beef Brisket, Roast Chicken, BBQ Pork, Beef with Vegetables, General Tso’s Chicken plus many more. All combos include white rice and a beverage (excluding fresh and mango juices, bottled green tea and energy drinks), running all through October and priced at $15.00 per person. Ben & Jerry’s will have 15% off all smoothies throughout October. Krispy Kreme Doughnuts will offer a free dozen original glazed doughnuts with a purchase of an assorted dozen doughnuts all throughout October. UNCASVILLE, CT – Unleash your inner diva at Mohegan Sun with Diva Days and Diva Nights each Friday throughout May and June. Diva Days and Diva Nights kicks off May 6th and includes special entertainment, discounts, events and more, exclusively for the ladies. Valentine’s Day is right around the corner. Come celebrate at Mohegan Sun where guests can enjoy dining specials, hotel and spa packages, great entertainment and more. UNCASVILLE, CT (April 21, 2009) – May 10th is just around the corner and Mohegan Sun is covering all the bases this Mother’s Day with excellent dining options, Elemis Spa specials, and great discounts at your Mom’s favorite Mohegan Sun shops.